A corpse with no face lies on the line between Immigration and Mega-City One. A feud breaks out between wannabe drug dealers. A shape-shifting killer is on the loose in Alientown. And Dredd's partner is an irritating, green-skinned company flack with an inflated sense of his own importance. 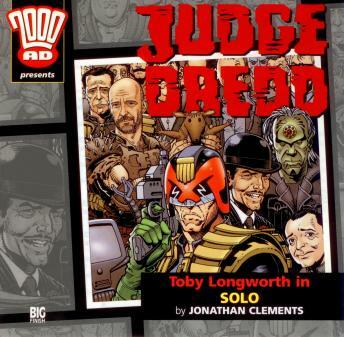 But when it comes to solving the crime and enforcing the Law, Judge Dredd is on his own.